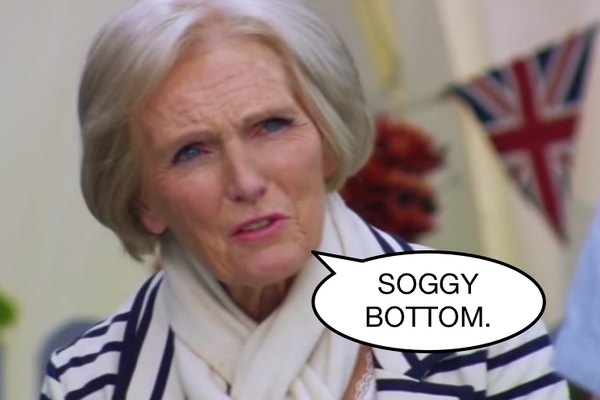 Not even Mary Berry will complain about this soggy bottom. That's the crumble filling inside warm pumpkin cake with flavors and aromas announcing that Fall has arrived. No eggs; no stand mixer; no food processor - it's a winner in my book. Preheat the oven to 350 degrees F. Thoroughly butter a bundt pan. 1. Combine ingredients for the MPM Spice Mix. Set aside. 2. 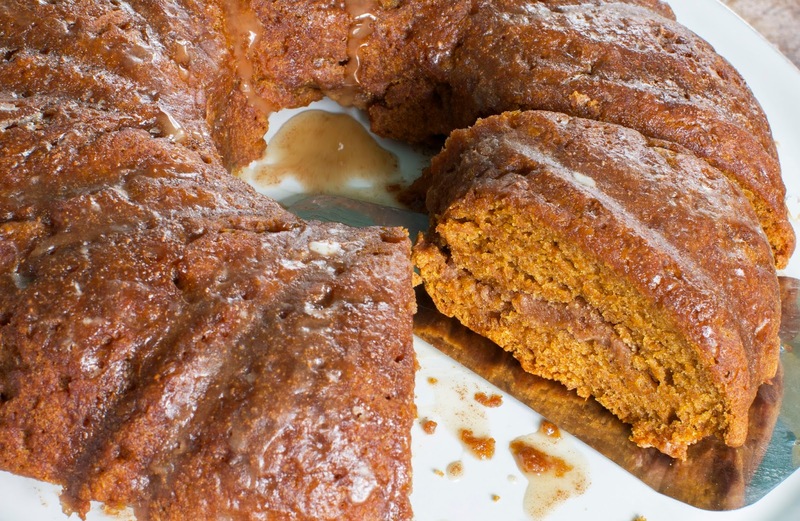 For the Cake, whisk together the the dry ingredients in a medium bowl: flour, baking soda, baking powder, salt, and 2 teaspoons of the spice mix. Save rest of spice mix. 3. In another medium bowl, whisk together the wet ingredients until well blended: pumpkin purée, coconut sugar, grape seed oil, maple syrup, almond milk, and vanilla. 4. Gently fold the dry ingredients into the wet ingredients. Mix until just combined. Batter will be very thick. 5. For the Crumble Filling, mix all ingredients in a small bowl, cutting in the butter with a fork. Combine with your hands to get it all combined if necessary. 6. Scoop half the cake batter into the greased bundt pan. Tear apart the crumble and distribute around the pan. Use a spatula to spread it evenly on top of the batter. Add the rest of the batter on top of the crumble. 7. Bake the cake for 30 - 45 minutes or until a wooden skewer comes out clean. Remove to wire rack to cool for 10 minutes, then turn over onto rack with a cookie sheet underneath. 8. For the Glaze, whisk the ingredients together in a small bowl. Drip about 4 tablespoons of the glaze on top of the warm cake. Allow the cake to cool. 9. Move the cooled cake to a serving plate. Drizzle as much of the glaze as you would like around the top and sides. Serve with Coconut Whipped Cream here, if you must. Recipe adapted from Food52 website here. 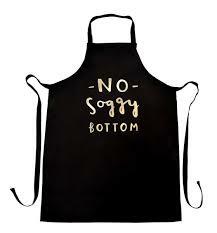 This just in: Saturday Night Light and "Soggy Bottoms" here.